• The Cutty Sark, the world’s last surviving 19th century tea clipper, reopens to the public today following a £50 million, six year conservation project. The project to restore the Greenwich-docked ship has involved raising it more than three metres so visitors can walk underneath and see for themselves the sleek lines which helped the vessel set a then record-breaking speed of 17.5 knots or 20mph in sailing from Sydney to London. As well as raising the ship three metres, the project has involved encasing the ship’s hull in a glass casing to protect it from the weather – this area also contains the museum’s extensive collection of more than 80 ships’ figureheads, never been seen in its entirety on the site. The ship’s weather deck and rigging, meanwhile, have been restored to their original specification and new, interactive exhibitions on the vessel’s history have been installed below deck. Originally launched in 1869 in Dumbarton, Scotland, Cutty Sark visited most major ports around the world, carrying cargoes including tea, gunpowder, whiskey and buffalo horns and made its name as the fastest ship of the era when carrying wool between Australia and England. The ship became a training vessel in the 1920s and in 1954 took up her current position in the dry dock at Greenwich before opening to the public. In November 2006, the ship’s rig was dismantled in preparation for a restoration project – this received a setback on 21st May, 2007, when a fire broke out aboard the ship and almost destroyed it. 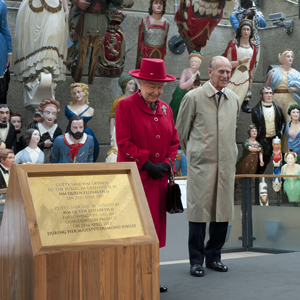 The ship – which was officially reopened by Queen Elizabeth II and the Duke of Edinburgh (pictured) yesterday – is now under the operational management of the umbrella body, Royal Museums Greenwich. For more (including the online purchasing of tickets), see www.rmg.co.uk/cuttysark or www.cuttysark.org.uk. PICTURE: National Maritime Museum, London. • A large statue of Genghis Khan has invaded Marble Arch. The 16 foot (five metre) tall sculpture of the Mongolian warlord, created by artist Dashi Namdakov, was erected by Westminster City Council as part of its ongoing City of Sculpture festival which is running in the lead-up to the Olympics. The statue has sparked some controversy – Labour councillors at Westminster have reportedly suggested Dambusters hero Guy Gibson would be a more suitable subject for a statue than the warlord Khan. The Russian artist, who has an exhibition opening at the Halcyon Gallery in Mayfair next month, told the Evening Standard he simply wanted to honor Khan on the 850th anniversary of his birth. • Development of a new West End theatre, the first to be built in the area in 30 years, has been given the green light. The new 350 seat theatre will be part of a development project located between Charing Cross Road and Oxford Street which will also feature office and retail spaces. The site was occupied by a pickle factory in the 19th and 20th centuries and from 1927 was the home of the Astoria cinema, remodelled as a live venue in the 1980s. Live music was last presented there in 2009 when the site was compulsorily acquired for the Crossrail project. • On Now: Crowns and Ducats: Shakespeare’s money and medals. This exhibition at the British Museum explores the role of money in Shakespeare’s world and looks at how coins – a frequently recurring motif in Shakespeare’s work – and medals were issued to mark major events. 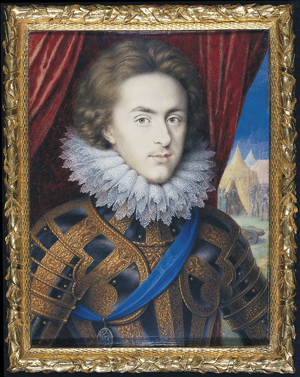 Objects in the display include Nich0las Hilliard’s ‘Dangers Averted’ medal of Elizabeth I and William Roper’s print of the Queen, the first to be signed and dated by a British artist, as well as a money box such as might have been used at the Globe and a hoard of coins, including a Venetian ducat, deposited in Essex around the time of Shakespeare’s birth. Almost every coin mentioned in Shakespeare’s plays will be on show – from ‘crack’d drachmas’ to ‘gilt twopences’. Runs until 28th October in room 69a. Entry is free. For more, see www.britishmuseum.org.